How did you arrive at your decision to homeschool? Hopefully prayer was a driving force behind your conclusion. If you haven’t bathed your homeschool endeavor in prayer, now is the time to start. You can’t build a successful homeschool on a foundation other than prayer. So, how can you pray for your homeschool? You know why I wanted to homeschool? It was because I was homeschooled in highschool. I was absolutely determined to homeschool our children simply because I enjoyed the homeschool experience. While that’s a nice reason to homeschool, it shouldn’t be my motivation to homeschool. No, I should approach the decision to homeschool through prayer and only decide to school my children at home because this topic has been covered in prayer. 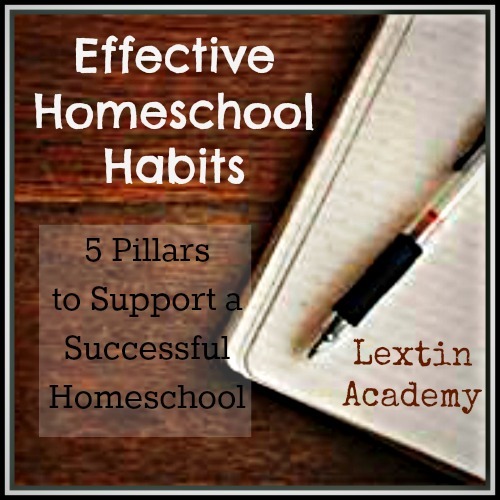 You want your homeschool to be solidly at the center of God’s will for your family. And the way to make sure that you’re right where you should be, is to spend lots of time on your knees looking for direction and guidance. Ohh this is my favorite thing to discuss with other homeschool moms. I love nothing more than getting together and comparing curricula and talking about our choices. And the homeschool convention vendor halls! It is heaven! And when the boxes of curricula arrive at my house, I’m convinced it’s Christmas time! Shiny new curriculum is exciting and I am so thankful for all the options I have to teach my children. But this year I was convicted that I don’t take my choices before the Lord and ask for His blessing on what we study each year. It’s too easy to be caught up in the moment of the newest program on the market. Rather, I should pray over each purchase to make sure I’m making a wise decision. Yes, God cares about curricula too and He’d be happy to talk shop anytime! Do you pray for the little lives entrusted to your care? Cover your children in prayer daily so that they will develop Godly habits and display Christ-like attitudes. Pray that they will learn obedience, resist temptation, hunger after God’s word, and develop a close relationship with the Lord from a young age. You should be praying for your children. But do you pray for them as your students as well? You should pray that their hearts and minds will be open to your teaching. Pray that they will have a desire to learn and they will have joy in learning. Take those math problems before the Lord and ask for His help during spelling time. Ask for divine understanding as you strive to teach them. I know my hubby needs extra prayer for patience as he suffers through my long ramblings about curricula and teaching methods. Pray for your spouse, the homeschool principal, throughout the school year. Pray that your spouse will know how best to encourage you and support your homeschool. And pray that you can make time for each other outside of the schooling and curriculum shopping. Yes, this is you! If your children were in school, I can bet that you wouldpray for their teacher to have wisdom and discernment in teaching them. You would ask for blessings for that teacher and you would probably ask for some patience and mercy too. Well, as a mommy and a teacher you need a double dose of all of those things. So, don’t forget yourself on the prayer list. Your attitude sets the tone for your school and home, so make sure that your thoughts are centered on the Lord and send prayers heavenward throughout the day. Head over to the Crew Blog to read more posts for the August Blog Hop! Click on the button below!